Would you buy a phone made of grass? Jump to media player BBC News talks to designer Sean Miles of Design Works, who has moulded a phone from recycled parts and natural materials, including grass. 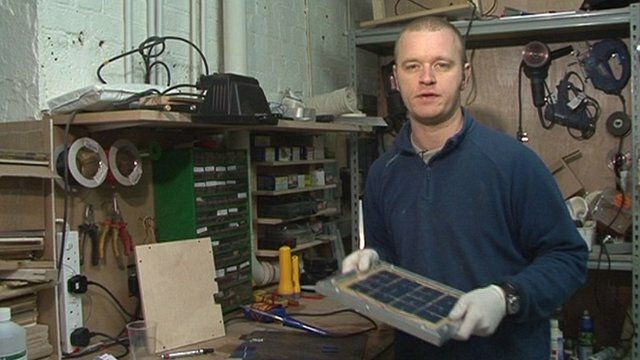 Making a phone charger from scrap Jump to media player Mark Kragh, managing director of Know Your Planet, explains how his company makes solar-powered mobile phone chargers from scrap materials. 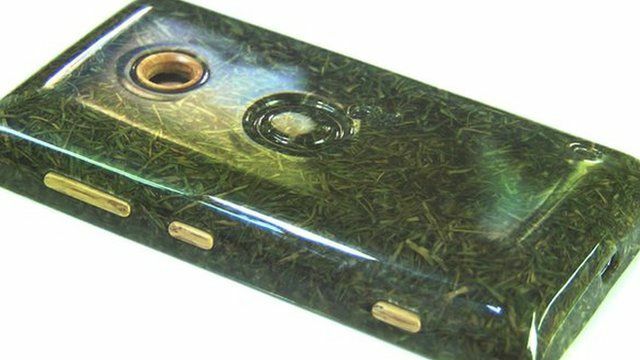 Would you buy a phone made of grass? It is a common complaint that most mobile phones look the same these days. But designer Sean Miles has created one that should stand out from the crowd. It is the first mobile phone made entirely from recycled and natural products, he says. The phone's casing - which is integrated into the phone - is made from recycled resin and specially treated grass clippings. "This creates a composite material, like carbon fibre", says Mr Miles, which can be used as an alternative to plastic injection moulding. Mr Miles was originally commissioned to make the phone as a one-off by O2 Recycle, a division of the mobile phone giant, to highlight the value of recycling. 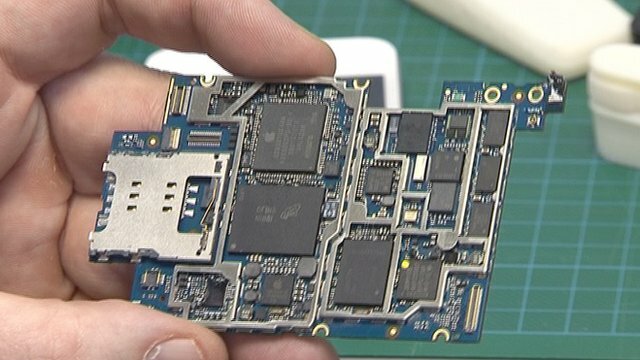 But the team at Design Works was surprised at the success of the proof-of-concept, and are now investigating whether the technique can be used on a mass scale. It is reckoned that fewer than 25% of unused phones are recycled in the UK.